Welcome to L & L Hawaiian Barbeque Glendale, California. We are known for our delicious Hawaiian style barbeque dishes and healthy plates. The spirit of Aloha is a very important part of everyday life in Hawaii. 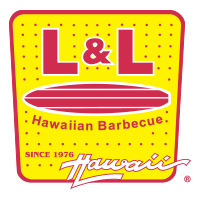 At L&L, you’ll experience the warmth and welcome of the islands through our food and our atmosphere. The spirit of Aloha is also about people.